Move to Greater heights! 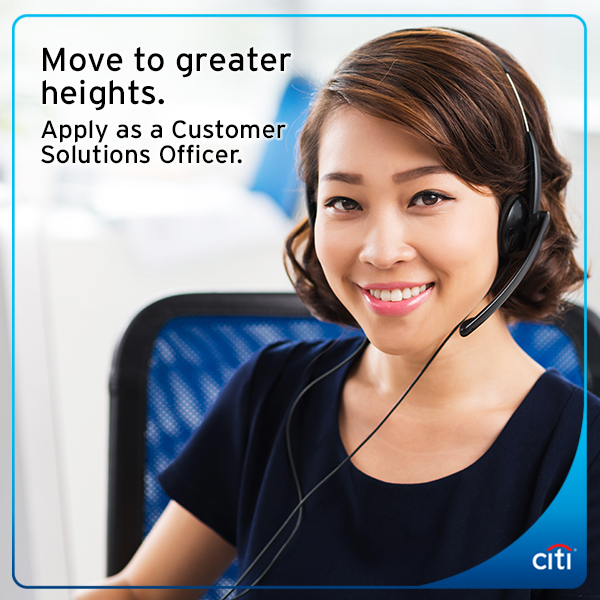 Apply as a customer solutions officer! Join the Citi Recruitment Caravan happening this December 11-13, 2017 (8am-5pm) at Villa Caceres Hotel, Naga City. This is a 1-day process from application to job offer. Snacks will be served during the entire process. Take this opportunity as a Christmas gift for yourself and your family.